Get your Yearly Horoscope Predictions, 2018 - 2019 Monthly Forecasts with Vedic Astrology, Varshaphala, Monthly Zodiac guidance and divination personally prepared by India's top Vedic Astrologer Shri Rohit Anand, New Delhi, India. 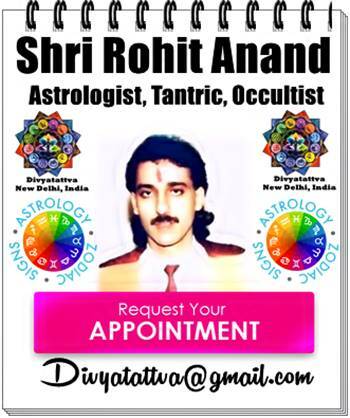 This will be personalized year ahead report of many pages prepared personally by renowned vedic astrologer Shri Rohit Anand. With 2018 around the corner and many people are wondering what will this new year will bring to them in its fold. They are occupied with questions like,‘Will this year of 2018 be better than the year gone by or not?’; ‘Will i find my soul mate this year? "How will be my relationship with my husband or wife in times ahead?’; "How ill be my health in 2018-2019, "and could arranged or love marriage be a possibility this year? "; ‘Will my financial situation get better this year? "; ‘Will I get job opportunity this year?’ As this New Year sets in, you eagerly wait for new potential opportunities, positive changes, new hopes to make your lives much better or to start things afresh with new perspective. It will let you know how the year ahead will unfold for you.In this annual horoscope report useful detailed information about yourself, future ahead, prospects and potential for growth in life. This yearly horoscope report focuses on areas of your interest and any particular aspect you want more light thrown for better guidance. 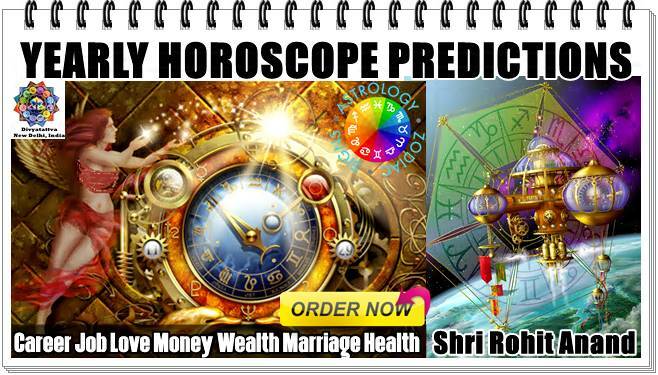 This yearly varshphal or horoscope predictions will empower you to know before hand major happenings in your life, financial situation, business prospects, love life, marriage, health issues, court cases, challenges and success in your field. Features of Comprehensive detailed Yearly Horoscope Report : Free horoscope Natal Birth chart, Yearly horoscope chart, muntha predictions, planetary dasha predictions, month wise forecasts on career, marriage, love life, job prospects, wealth, travels, education, relationships, health etc. You will also get astrological remedies for the year to be followed for getting the best out of months ahead. This yearly divination is based upon moon signs according to Hindu astrology and North Indian style birth or annual charts giving you clear understanding of what to expect in months ahead. For getting Varshpahala report or yearly forecasts according to vedic astrology you need to send us your following details : Full Name, Date of Birth, Accurate Time Of Birth, City Of Birth, State of Birth, Country Of Birth, Gender, Your Present location, Your profession, Your request for areas of interest that you would like more light to be thrown in your various aspects of life. 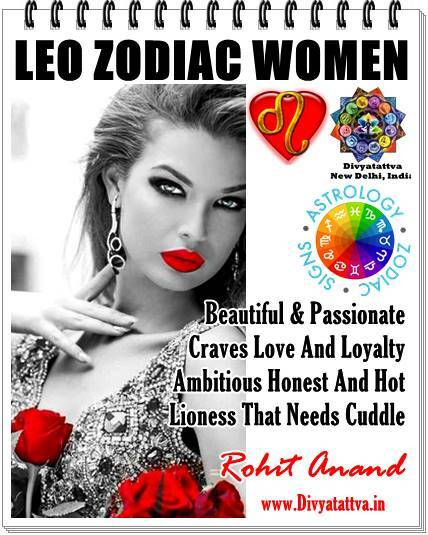 Note: These yearly horoscope reports are NOT computer generated but is made personally by Shri Rohit Anand Ji. Yearly horoscope reports or varshphala will be sent by email in few days after the receipt of payment in advance. You will be informed about the status of your payment and reports on your email ID and or phone number or whatsapp.